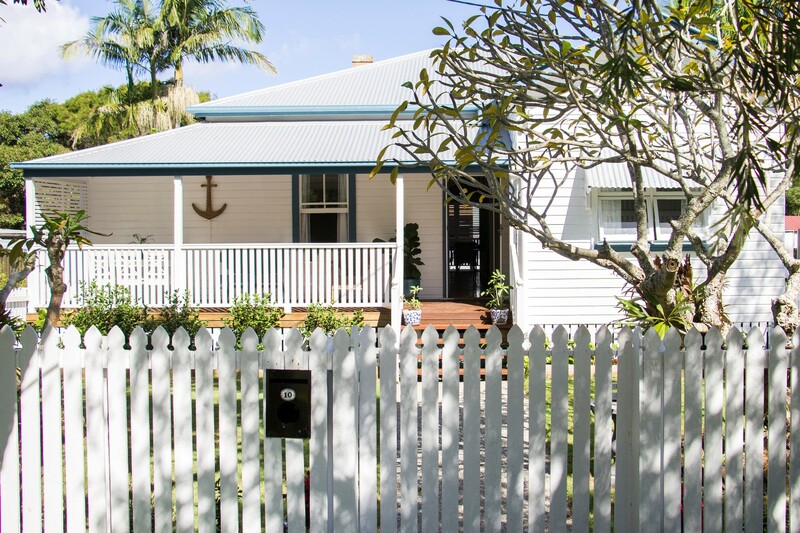 Anchored in Byron is a classic 4 bedroom, 2 bathroom, fully renovated Byron Bay beach cottage, located only 5 minutes drive or 15 minutes walk to town and those world-famous Byron Bay beaches. 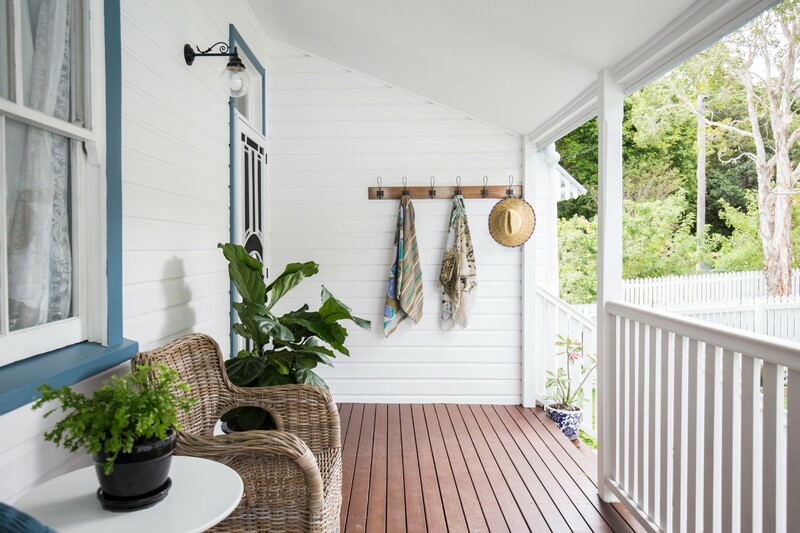 Recent renovations showcase the cottage’s iconic Byron Bay location whilst honouring the original elements of the home and adding a modern touch, including a brand new kitchen, bathroom and ensuite. 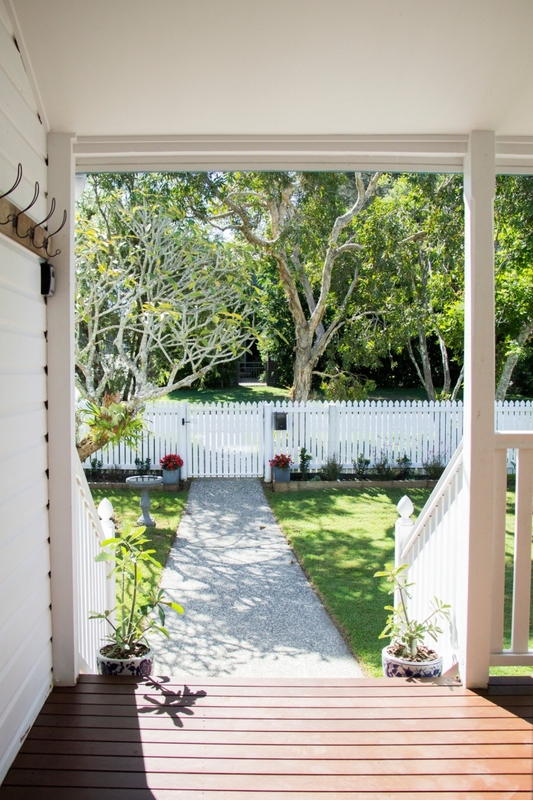 Stroll through the white picket fence and leafy front yard to a pretty front porch, perfect for watching the world go by. 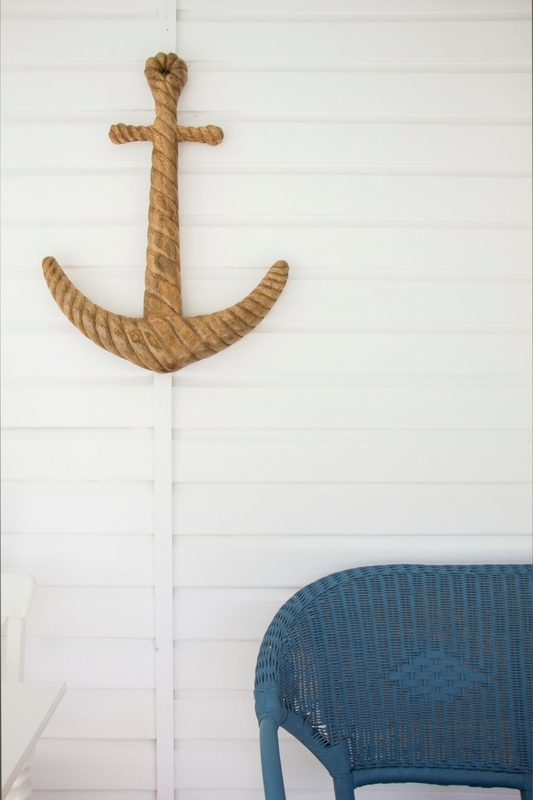 Come inside where it’s airy and bright, with sloping ceilings, crisp, cool whites and polished timber floors and gorgeous vintage styling, for the perfect mix of fresh nautical style, vintage character and coastal chic. 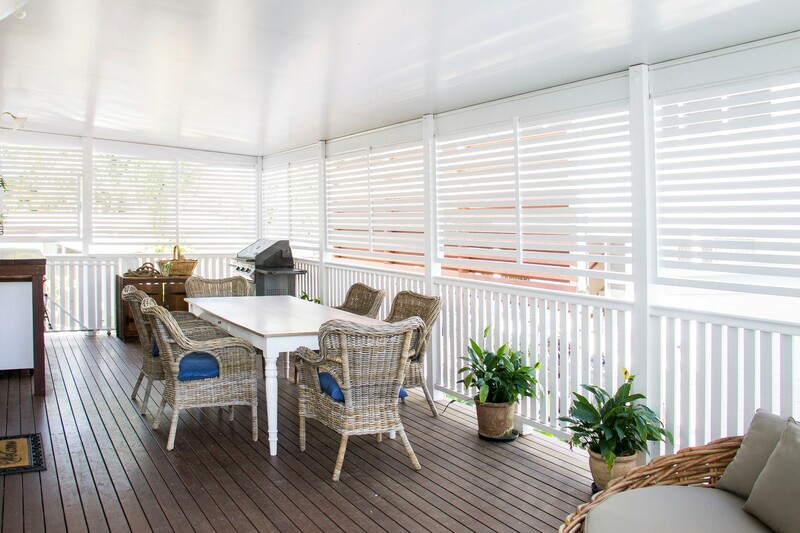 Enjoy balmy outdoor dining and entertaining on the large covered outdoor patio and in the cooler months, curl up in front of the fireplace in the living room. 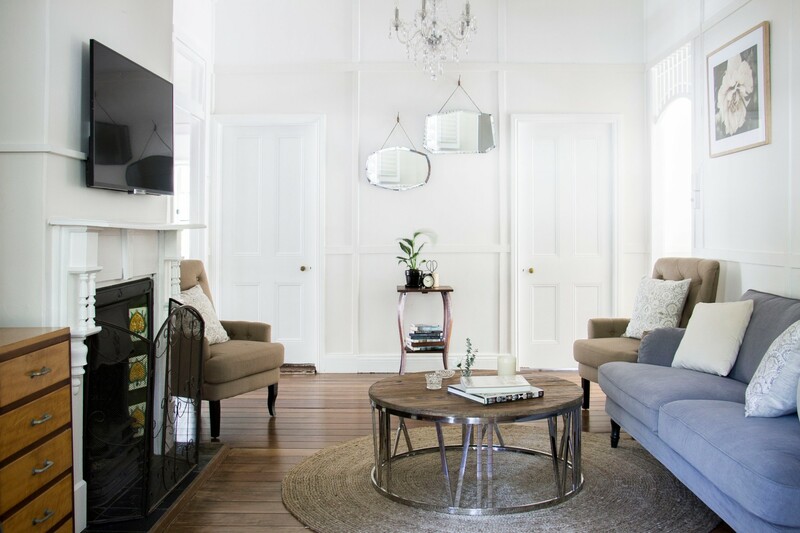 The light and breezy living space at Anchored in Byron has got all seasons covered - enjoy the summer afternoons while kicking back on the vintage style lounge chairs with a book, or cosy up for winter in front of the built-in fireplace and wall-mounted flatscreen TV. 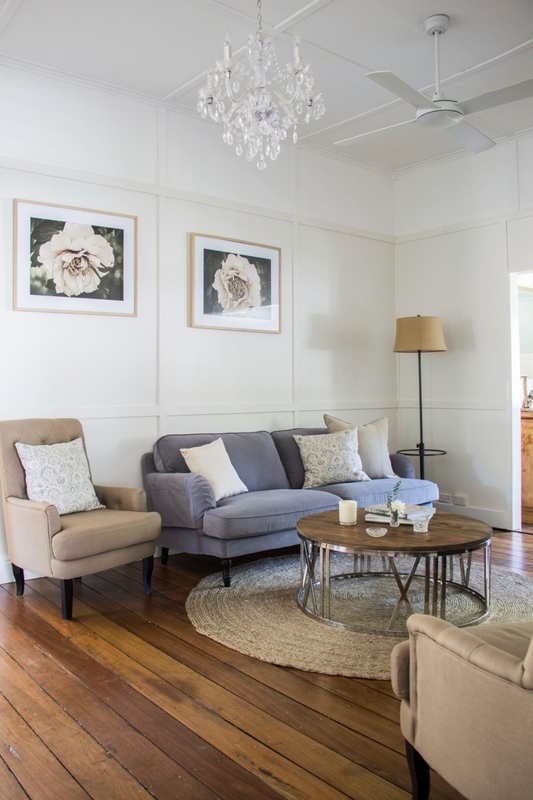 Complete with a chandelier, antique-style mirrors and rustic timber tables, as well as reverse cycle air conditioning, this warm inviting living space beckons guests to relax and unwind. 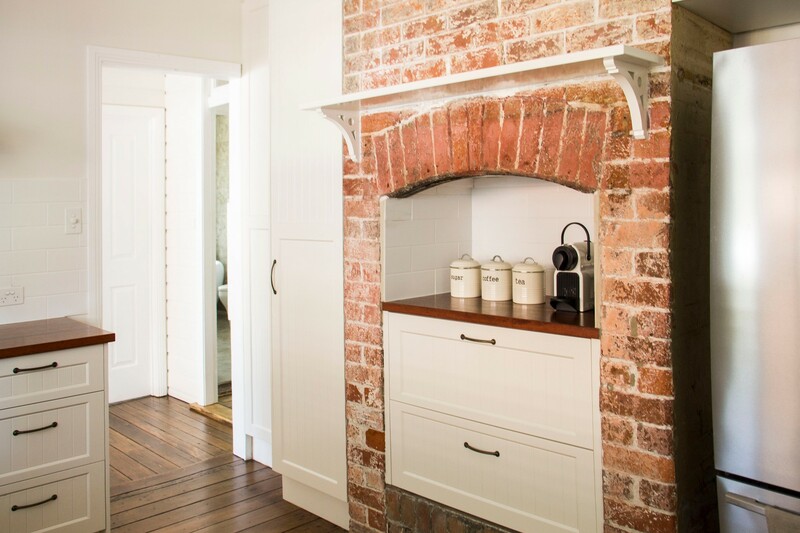 Simple and stylish, Anchored in Byron’s dining space seats 6 at the timber dining table, with a cool mix of chairs, timber bench seating and modern pendant lighting. 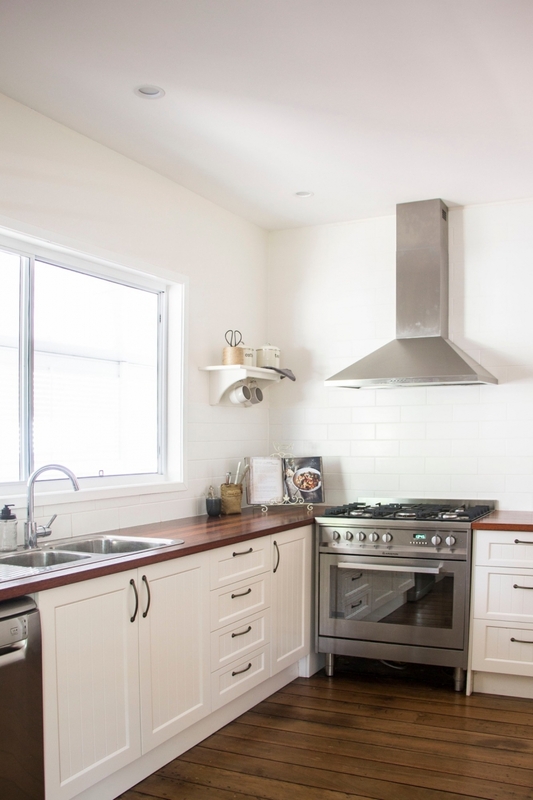 Get inspired for preparing holiday meals in this gorgeous, brand new, light-filled kitchen, with new stainless steel appliances, including rangehood, fridge, dishwasher and gas cooktop, as well as a stunning original interior brick feature wall with built in cabinetry. 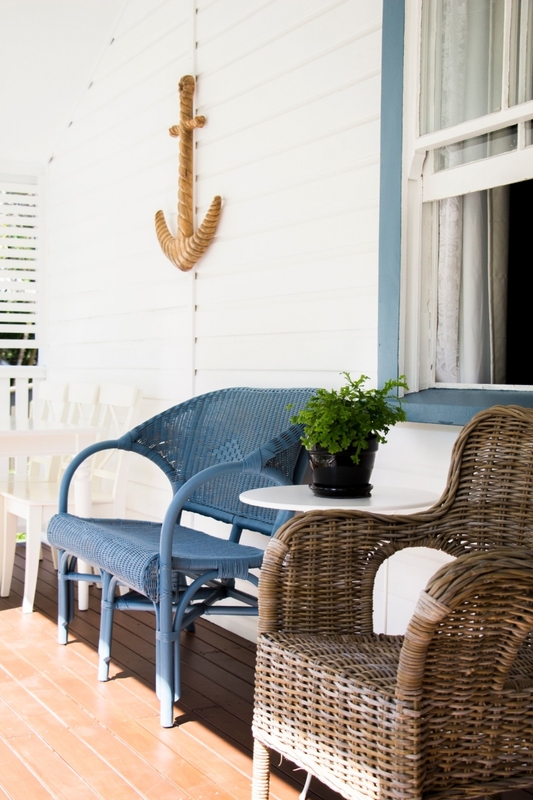 Guests need not stray far from Anchored in Byron with an automatic coffee machine and plunger, with coffee and capsules provided. 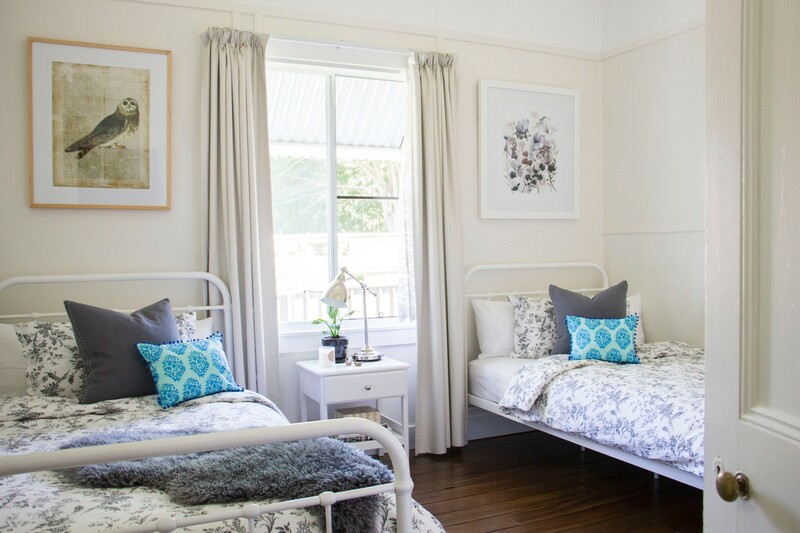 Anchored in Byron sleeps up to 8 guests in four bedrooms featuring gorgeous vintage styling and coastal charm. 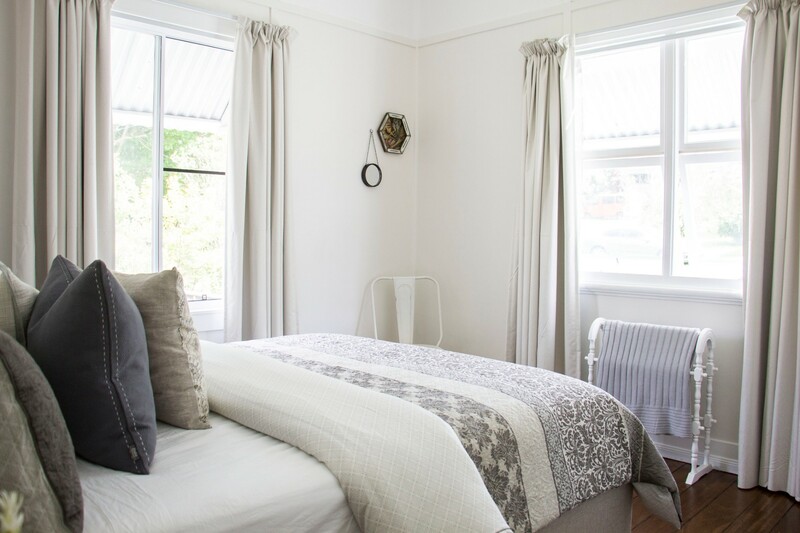 A dreamy four-poster bed, vintage elegance throughout, plush furnishings and loads of natural light promise serene snoozing. 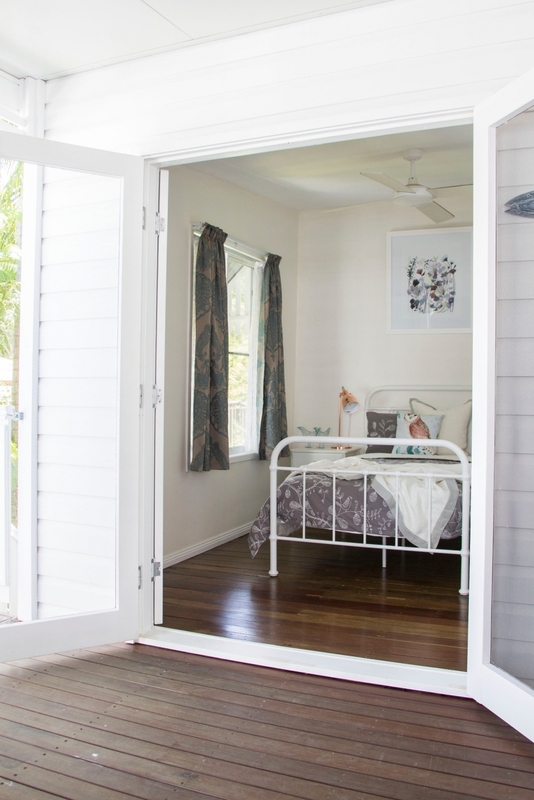 French doors lead out to the large covered outdoor patio area, enclosed by coastal-inspired white timber shutters and glowing with lovely natural light. 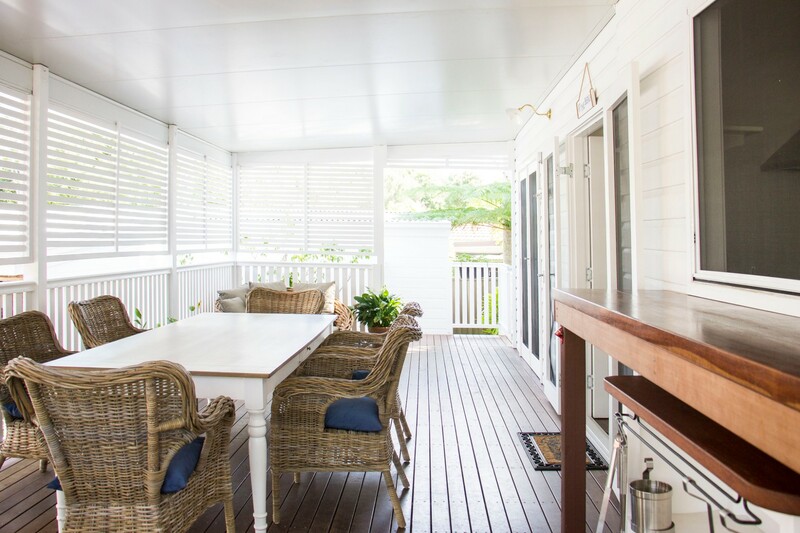 Fire up the BBQ, dine at the 6-seat outdoor dining suite with rattan chairs, chat to the cooks via the cute and practical kitchen servery or enjoy a drink in the cushioned wicker lounge seat. 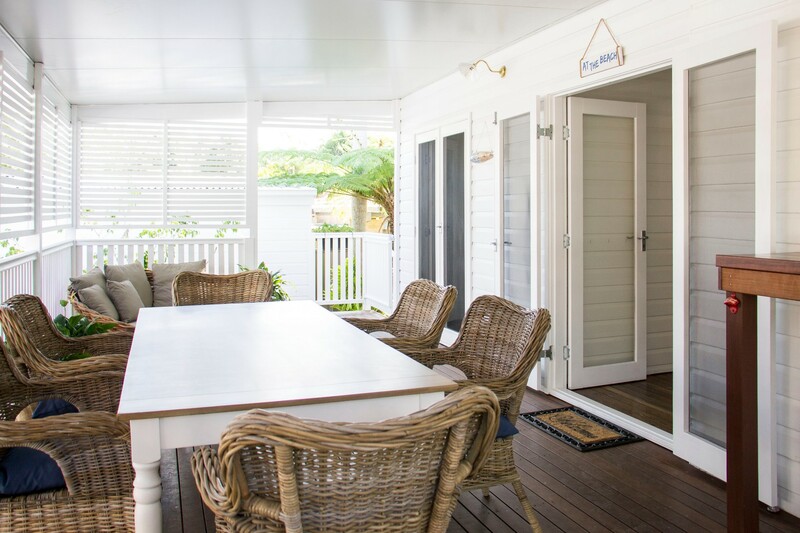 Maximize the beautiful year-round Byron Bay climate with Anchored at Byron’s gorgeous outdoor dining and entertaining space. 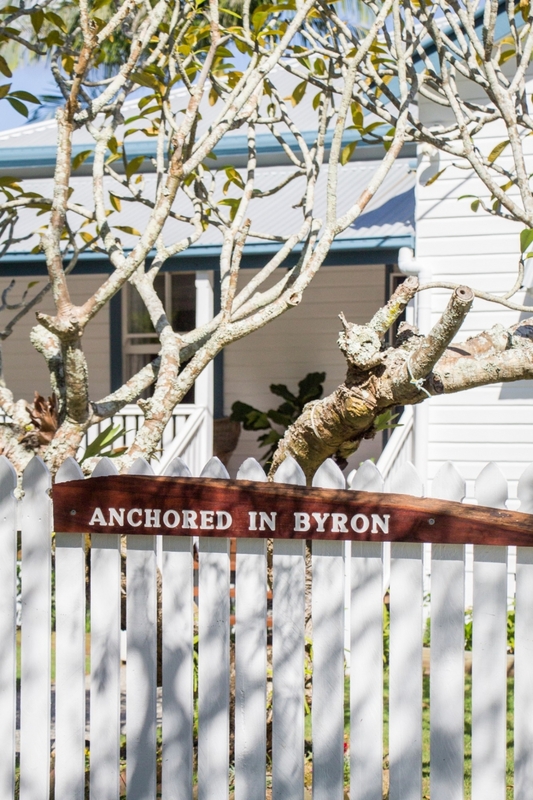 Anchored in Byron is less than 5 minutes drive to the centre of Byron Bay and the world-famous Main Beach or a lovely 15 minute walk for those wishing to leave the car at home. 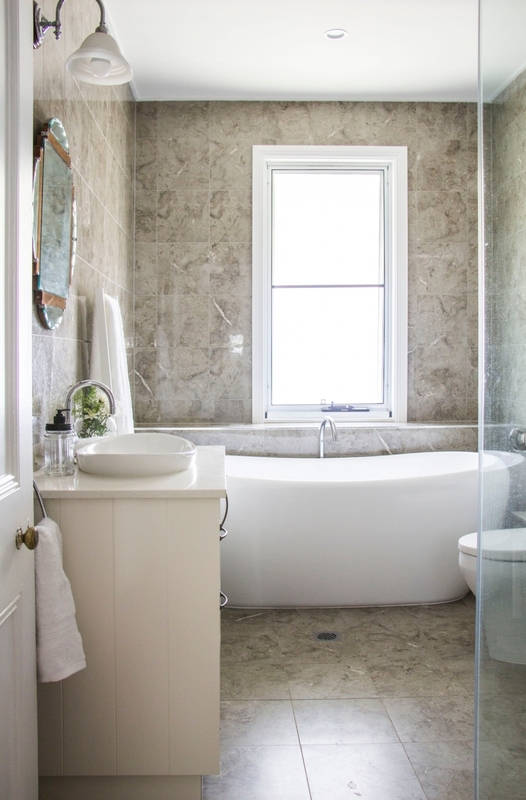 We had an excellent experience with a Perfect Stay who were professional from our first contact. Highly recommended. Wedding was wonderful. Accommodation was lovely and better than expected.